One of the things I love about travelling is visiting all of the amazing museums and art galleries around the world. One of the best I have visited is the Art Gallery of New South Wales. The history of Austarlian art is more varied than you might think, with Aboriginal art only really coming into its own in the 1970s, and white Australian art finding its voice in the 1940s, 1950s and 1960s. Here are a few of my favourite pieces from the gallery. The skyline of Sydney must be one of the iconic skylines in the world. I have been here three times over the course of 16 years and have never failed to be awed by it. The opera house was very controversial when it was built, it was over time and over budget built it is now firmly one of the iconic buildings of the world. And what a view! 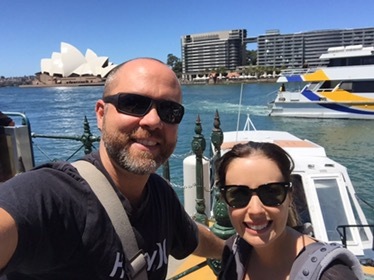 Here’s my videologue of the few days I spent in Sydney. I’ve also had the great joy of meeting up again with two friends, who I met in very different ways! 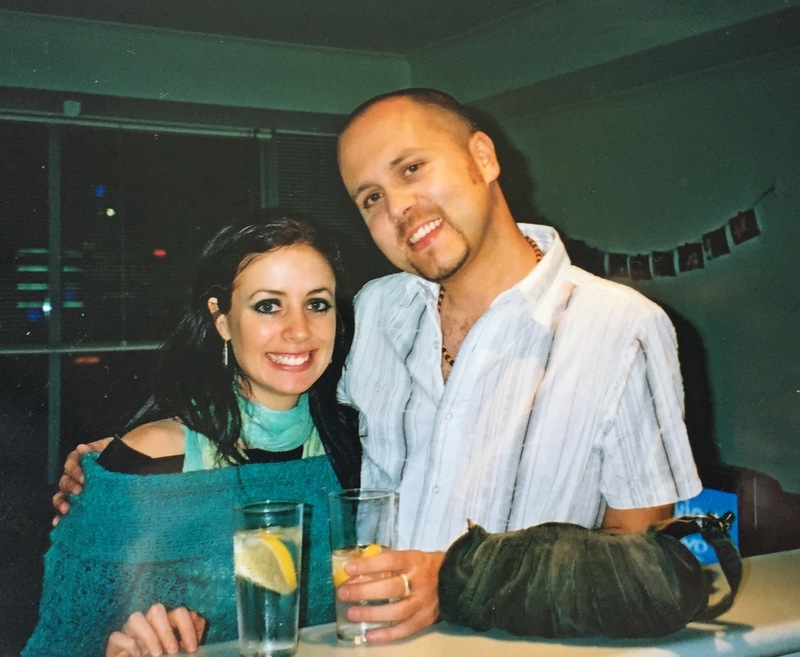 I met my friend Amy on New Years Eve in Sydney in 2004, both being rather the worse for wear with alcohol! But we hit it off & stayed in touch ever since. I’m greyer and Amy is married with two kids but we haven’t changed really. Louisa used to be my manager when I worked in Lewes in Sussex! But a professional relationship became a friendship and when she moved back to Sydney we stayed in touch. It’s been great to see both again. One of the daily tasks of travelling is finding free wifi, and lately it hasn’t been very easy! However, I am currently camped out in the cafe of the Art Gallery of New South Wales, using their free wifi and enjoying their fantastic aircon too! I am sure the art is very good too, have yet to look round. I touched down in Brisbane on 2 November to some serious heat and humidity. 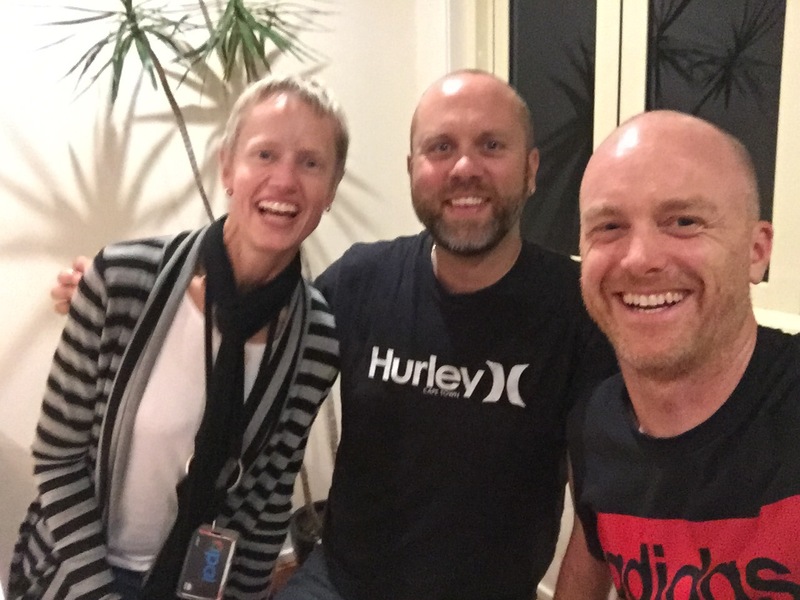 I also met up again with my good friend Austyn, who used to live in Brighton but now lives in Brisbane. I stayed with Austyn for a just over a week and reacquainted myself with the city, which I last visited in 2000, 16 years ago. And boy has it changed. It really is a booming city, with office and apartment blocks springing up all over the place. However, I think it is a city without a plan as the motto seems to be ‘anything goes’. Development seems haphazard and the historical soul of Brisbane is being crushed in the process. However, the area I stayed in is called Teneriffe (deliberate spelling with two ffs) and does have lots of renovated wool stores, old Victorian warehouses now converted with apartments, which gives the area a lovely historical feeling. Brisbane has some wonderful museums and art galleries. Plus they all have great aircon too! I did a guided tour of the Brisbane Art Gallery and learnt about the origins of modern aboriginal art. An American expedition to Arnhem Land in the Northern Territory in 1950 came across a community in Milingimbi, and they gathered up a series of their bark paintings. The bark paintings were then offered to Australian galleries, who had previously never exhibited aboriginal art. Then, in 1971 in the central Australian community of Papunya, a new artistic movement began. The artists began to document the unique qualities of their homelands, which they had long been displaced from. Previous to then, aboriginal people drew their art in the sand or on bark, it was never intended to be sold. The community in Papunya heralded the beginning of the entire modern aboriginal art movement that we know today. 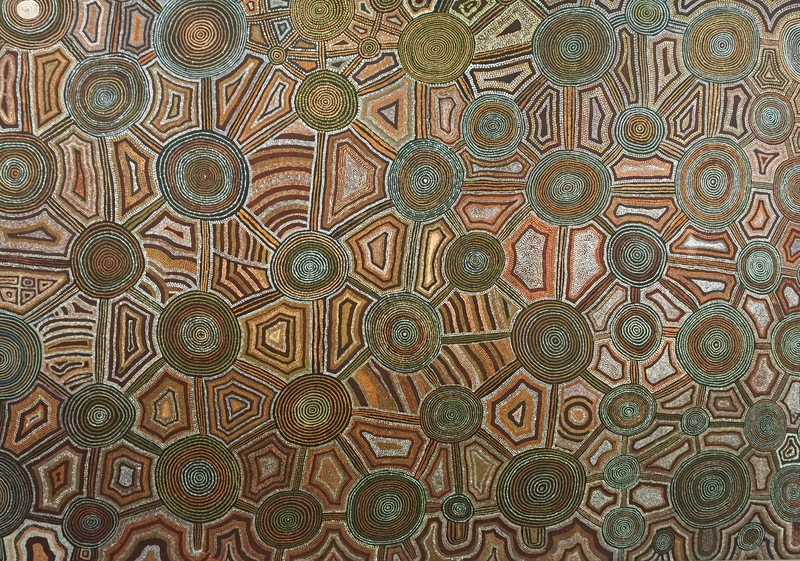 Top aboriginal artists can sell their paintings for millions of dollars. I also saw the first aboriginal piece of art ever to reference western art (Michelangelo’s creation of Adam), as 99% of their art only references aboriginal stories and history only. Brisbane Museum is great too, and I learnt about the history of the city – which is very young in fact as it was only founded in the mid 1800s. Australia has some pretty unusual wildlife! It lurks around every corner. But to get a full picture of it all, I headed back to the Lone Pine Koala Sanctuary, which I first visited in 2000. I got to hold a beautiful koala, walked amongst kanagroos and wallabies, saw a huge monitor lizard and two sleeping wombats and countless other unique Australian animals. Queensland has a beautiful coastline and has many islands to visit. I spent the day on Tangalooma with a group of friends. It is about 90 minutes by boat and has beautiful white sand beaches and crystal clear blue water, as you can see from my photos below. After visiting Brisbane, Austyn and I flew up to Cairns and stayed for a week in Palm Cove. It’s a very small place with a stunning beach, but a sea you cannot swim in, due to the presence or marauding crocodiles and deadly jellyfish! Strictly look but no touch. We did a great walk through the Daintree rainforest, in a great place called Mossman Gorge, owned and run by the local aboriginal community which was great to see. One of the best things we did was a day trip to Cape Tribulation. It really felt like we were in the middle of nowhere, and we had the beautiful beach below virtually to ourselves. You really can’t go much further north than this, without having a 4 wheeled drive vehicle. We hoped to the local bird called the Cassowary but it’s pretty elusive so no sightings. No croc sightings either, but that was probably for the best! I also snorkelled the Great Barrier Reef. I saw some stunning corals and colourful fish too. The reef is definitely in trouble, and I did see some bleached coral. Hopefully all the efforts of the locals can help stabilise it and bring it back from the brink.